Protecting San Rafael is arduous and very costly. PRO COSARA maintains a team of park rangers, carries out surveillance flights, buys forested land and supports sustainable land use projects in the region. We need your help to support this work! PRO COSARA is recognized in Paraguay and Germany as a non-profit organization. The work we do is supported by grants and donations from groups or individuals. These contributions are a meaningful way that you can help support the important conservation work that we do. Donations are often tax deductible – depending on the tax regulations in your country. The easiest way is to contribute is to make a donation online or by bank transfer to our donations account (see box). 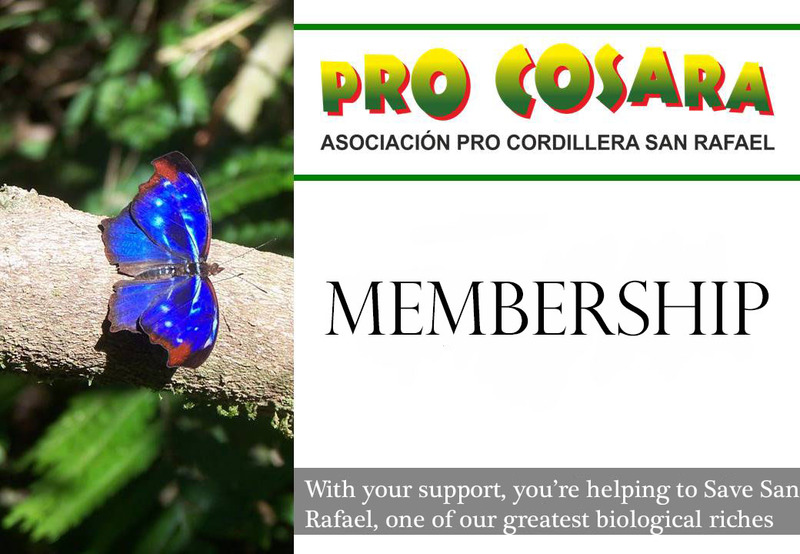 You can help our organization by becoming a member, which allows you to choose the manner in which you can best support PRO COSARA. To become a member, please fill out either the Personal Membership Application Form , or the Corporate Membership Application Form. Please tell your friends, acquaintances and relatives about the Atlantic Forest and the danger it is in. Help us to spread the world about PRO COSARA and connect with us on social media to continue sharing our news and work.